A decade ago, Richard Louv came out with the groundbreaking book Last Child in the Woods. He sounded the alarm for parents and caregivers about how our children are not getting enough time in nature, and the consequences of this paucity of exposure. Now Dr. Scott Sampson has written a book to help parents with practical guidance for this important task. 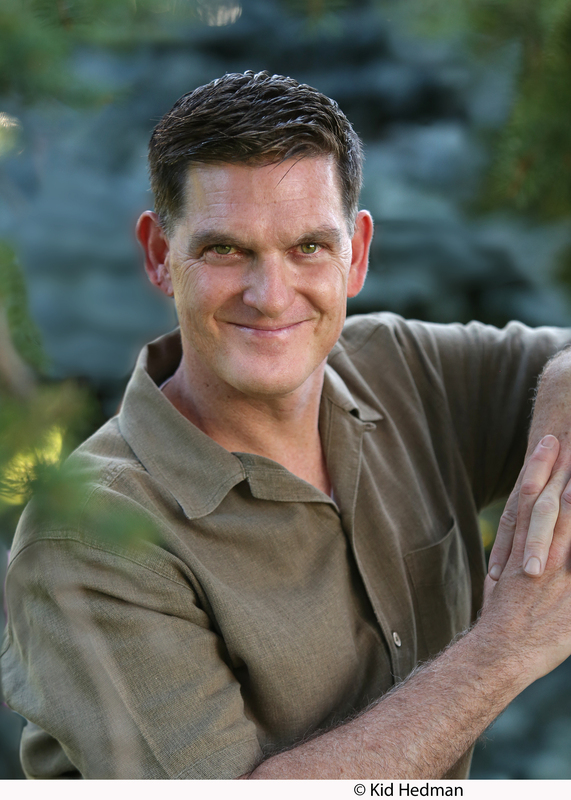 You might recognize Dr. Scott as the paleontologist from the PBS show Dinosaur Train. He’s also the vice president of research and collections and chief curator at the Denver Museum of Nature & Science. How to Raise a Wild Child begins by discussing the current state of our disconnect from nature. Dr. Scott makes the case that this disconnect between people and nature is one of the worst crises of our time. He backs up this assertion with statistics and studies about the effects of nature on our brains and bodies, and explores the ways that humans develop a bond with nature. I found these chapters very interesting – I appreciate learning the science behind what I already know in my gut about how important nature is to my soul, spirit and body. As a parent, I also appreciated the discussion about how to help my kids create and maintain their own bonds to nature. Dr. Scott says it well here: “A meaningful connection with nature does not arise in a single, emotionally charged event, no matter how powerful. Rather, it emerges organically and gradually over many years, the result of a spiraling feedback loop interweaving emotions with understanding.” (Page 56). The book then goes on to lay out central tricks to encouraging nature experiences in our families. It was affirming to me to revisit truths I learned in my years (before children) as an environmental educator. Following methods of Jon Young, Joseph Cornell and other experiential nature educators, Dr. Scott encourages us to develop habits such as the Sit Spot, focusing on developing a sense of place close to home, and telling stories about and from nature. Rather than parents or teachers serving as walking encyclopedias of facts and information, we should strive to develop wonder and help our children tap into their own latent sense of wonder. The next section of the book covers different ages and stages our children go through, and what nature connection looks like at each stage. From little ones to elementary kids to tweens and teens, children have different needs and desires. We can tap into the strengths of each stage to take advantage of what kids want, while being wise and not pushing them back indoors. One common thread is for parents to step back and let our kids have adventures without hovering. We need to be outside with our kids, and to zoom in if danger is imminent, but Dr. Scott encourages us to relax and get out of the way. I found the section about teens to be thought provoking, as I have one child on the cusp of teenager-hood, and I’m fighting the pull of technology, school work, and his desire for peer interactions. The last section of the book covers obstacles we face in the kids in nature movement, as well as solutions to some of these problems. I appreciate Dr. Scott’s approach to using technology appropriately, and to dealing with the fact that a large percentage of us are in urban environments. He has thought about how we can have a balanced approach, and even embrace technology in appropriate and powerful ways. He discusses some solutions and creative ways to make our lives better, and presents a hopeful view of the future. Multiple threads run throughout this book tying it together. One of these threads is how we, as adults, must take the lead and learn to be connected to nature ourselves, to set an example for our children and to serve as effective mentors. I’ve often thought this myself. There is much talk, justifiably, about getting kids back into nature, but adults these days are just as deprived as the children are. Our kids need us to take them out, to go for walks together, and to show them what wonder looks like away from a screen. Another thread is that of cultivating multiple experiences close to home. We fall in love with nature where we are. Those yearly trips to National Parks are important, but more important are the daily and weekly habits and routines we develop to love the special aspects of our home area. Links: Learn more about the book at http://raiseawildchild.com/. Hear Dr. Scott on On Point with Tom Ashbrook. The Giveaway! 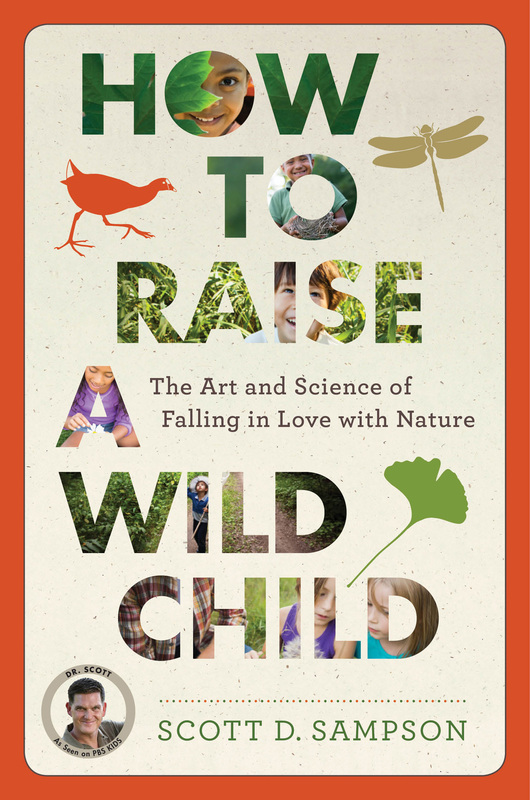 Scroll down to below the comments for your chance to win an autographed copy of How to Raise a Wild Child. Make sure you enter the Rafflecopter login so your entry will count. Contest ends at 12:00 AM on April 12, 2015. The giveaway is over. Congratulations to Sarah K. for winning the book! Great review, can’t wait to read this book! Hi Marie! Thanks so much! If you want to enter the contest, scroll down and log into the Rafflecopter window. Thanks! “…learn to walk slowly” LOL… yes, definitely. We all rush around in our lives too much anyway. I’ve been slacking lately on getting my daughter out into nature. This reminded me what’s important and reignited a passion to get outdoors! Groups like Hike it Baby help me find new areas to explore! One of my son’s favorite nature activities is digging for worms and bugs in the backyard and then identifying them with his field guide. He also has a rock collection that we are always adding to, and that gives him an incentive to go outside and explore. I have tried (and so far failed) to get him interested in identifying birds because that is my hobby, and there are birds everywhere. Maybe someday! I am starting to fall in love with nature more because of my kids. I’ve never really been outdoorsy, but they love to explore and it makes me want to get outside and get moving. You have done a great review and this looks like an interesting book. I think you have to let your kids explore and don’t helicopter over them worrying about everything that “could” go wrong. We’re so protective of our kids these days that we forget to let them learn and explore on their own! Nature is a great teacher, and visiting national, state, and city parks is a great way to share in the adventure of nature and create fun memories around that time spent in the world. Fabulous book, just did a giveaway on my blog! 🙂 His publisher’s tour doesn’t bring him to Portland, but I hope he’ll work with Powell’s to do a talk. Thanks for the review. Will definitely have to check out the book!